We lead building projects that span from renovations to new buildings and configuring spaces for new and innovative research and academic uses. With the press of a button, the system lowers window shades and display screens for instructional presentations. Liberal Arts Instructional Technology Services installed these smart classrooms with special attention to acoustics, sightlines, writing surfaces, seating, and lighting. A central help desk remotely monitors and controls every room in the building. With more than nine miles of cabling, this centralized system is readily adaptable to technological upgrades, saving the college both time and money. Building Services partnered with the Dell Medical School to implement modern technology solutions for the construction of this new college. 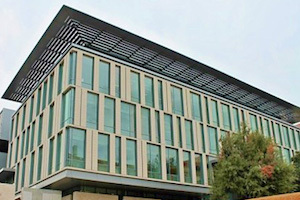 Having completed integration of audio/video/server/network/phone solutions into over 500 environments on campus, the team brought unparalleled and professional knowledge of the unique university technical infrastructure to the capital project. 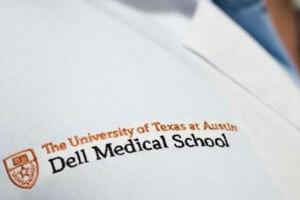 Advocating for the university's interests, Building Services proved to be a valuable partner in spotting problems early, pushing for sustainable cost-effective solutions and ensuring a timely completion before the first class of Dell med-students arrived.